Soft Loop Sterile are Non-toxic disposable loop and are accurate to semi quantitative stand for handling samples. 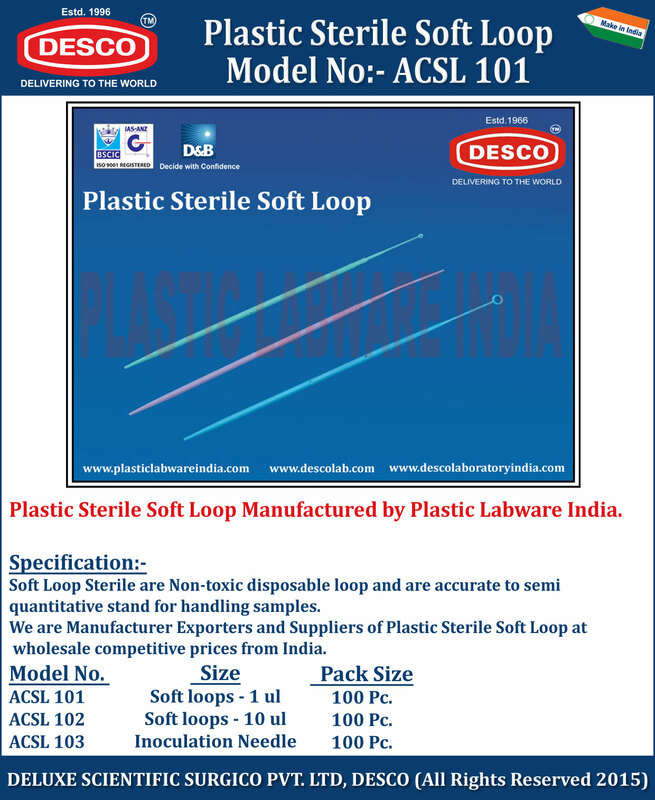 We are Manufacturer Exporters and Suppliers of Plastic Sterile Soft Loop at wholesale competitive prices from India. ACSL 101 Soft loops - 1 ul 100 Pc. ACSL 102 Soft loops - 10 ul 100 Pc. ACSL 103 Inoculation Needle 100 Pc.